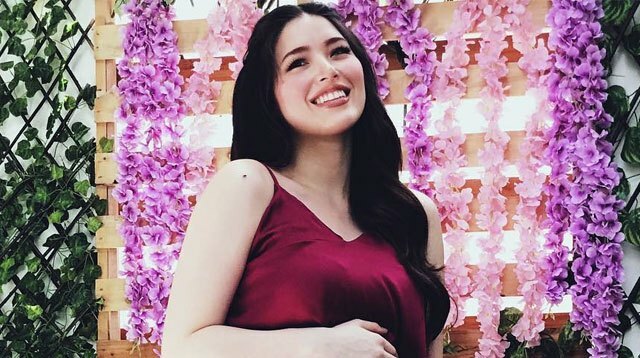 When the *shocking* news broke early this year that Encantadia star Kylie Padilla was pregnant with Aljur Abrenica's child, she did not go into hiding. She spoke freely about the issue, and proudly showed off her baby bump. The couple also revealed that they've been engaged since November (with a Tokyo Disney Sea proposal!). But expecting her first child and being engaged to the love of her life aren't reasons enough for Kylie to get married—just yet. In an exclusive interview with Smart Parenting, the actress revealed that although her father Robin Padilla would highly prefer her to tie the knot before she gave birth, that isn't what she wants. "My side is—and this is just me—ayoko mapilit to get married just because I'm having a kid. I don’t want the intentions to be in the wrong place. So okay, we're engaged, but let's not rush. One by one tayo." "Ayoko lang talaga nang rushed. I don't think I could adjust well na, 'Ay, nagpakasal lang kami kasi na-pressure kami.' No. I don't wanna feel any pressure. Sorry, I won't crack." Kylie went on to say that she would want to have her wedding when her son (yes, she's expecting a boy!) is old enough to walk down the aisle as her ring-bearer! "When we're settled with the baby na, and okay na siya, and healthy siya. Maybe one year after [he's born], let's get married after. Ang saya 'nun kapag nakakalakad na, di ba? Kasama na namin." Adding, "I have this fantasy kasi—and when I have a fantasy I work toward making it happen—na dala niya 'yung rings. So we might have to wait a while, but I really want that to happen."